June 15th, 2017 by Peter Johnson in Gaming Lifestyle. In the 1980s, Atari and Nintendo debuted popular consoles that made gaming a mainstream part of American culture. These classic action games from the 1980s helped gaming’s popularity spread. Many started popular franchises that still release new titles today.These classic games are still tons of fun to play and most of them you can still buy and play at home. Super Mario Bros is arguably the most iconic game of all time. It launched Mario, Luigi, Bowser, Peach, and all the other characters we know so well. It may be the best selling game ever created. It has the classic left to right, jumping platform gameplay that each of its sequels has been built around. You can buy Super Mario Bros in Nintendo’s classic games packages. The original Donkey Kong is the reason that Super Mario Bros. got made in the first place. 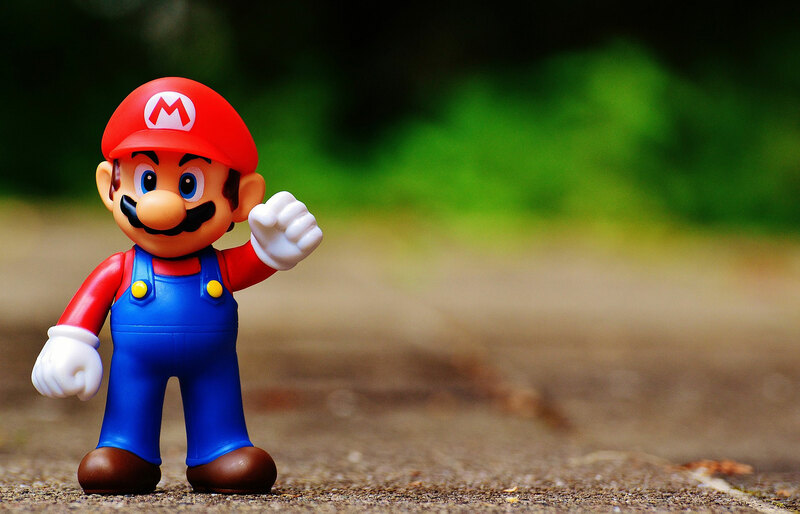 It was the first game to feature Mario himself—though he wasn’t called Mario yet. Donkey Kong was Nintendo’s first successful North American title. The arcade platform game launched in two Seattle bars in 1981, and, from there, its popularity spread across North America. Without Donkey Kong’s North American success and the Mario character, Nintendo would still be a small Japanese arcade and board game company. Final Fantasy is, to this day, one of the most popular RPG/action franchises. New installments sell well, and many gamers replay old titles. Square Enix, the Tokyo-based company that owns the game, released its fifteenth installment in 2016. The original title was one of the first games to use an open world format. Most other popular action games locked the player into a set path. Final Fantasy was also one of the first games to use a different perspective than the first person. The sleeper success kept its developer, Hironobu Sakaguchi, from quitting the video game business. Due to Final Fantasy, he’s now one of the most admired and emulated game creators ever. Another year, another classic Nintendo franchise. When Link’s first adventure dropped, Nintendo had already established itself in the arcade market. The then-underdog company had just launched the NES, their first challenge to the mighty Atari. Zelda was a smash hit. It was the first NES game to sell more than one million copies. Entries in the franchise have been launch games for several later generations of Nintendo consoles, including the new Switch. Generations of gamers have fallen in love with the franchise’s characters. Street Fighter was one of the first popular head-to-head fighting franchises. It was also one of the first successful PC games: home gamers could play it on the Commodore 64 and IBM PC. Street Fighter established genre standards. It was the first fighter game to include combo moves—ruining the gaming careers of button-mashers like me. Street Fighter wasn’t a hit but sold well enough for Capcom to create a sequel – Street Fighter II – which as of 2008 was still Capcom’s best-selling game ever. Ultima was a significant innovator in the RPG genre. It launched a successful franchise that includes the first MMORPG, Ultima Online. Ultima expanded gaming’s scope and scale. The RPG was arguably the first game to have an open world, in which a player could wander around the game environment freely. Every MMORPG and sandbox game owes a debt to Ultima. Prince of Persia is renowned for its graphics and design. Its art direction and character motion was widely imitated and served as a model for a many 1990s games, and was one of the leading game titles for the Apple II. Prince of Persia inspired sequels and reboots, and a 2010 film adaptation. Castle Wolfenstein is the godfather of the shooter genre. In Wolfenstein, the player is captured and held in a Nazi castle. The player character has to shoot his way out of the castle and use every ounce of his cunning to do so. Wolfenstein was one of the first successful shooters. Its heirs, which were also developed by id Software, were the early ‘90s most acclaimed and popular FPS games: Quake and Doom. Metal Gear was another franchise starter. One of its sequels, Metal Gear Solid, was one of the most popular games of the 1990s. The Metal Gear franchise is unique because it emphasizes stealth and secrecy. Other games, including Wolfenstein, required players to avoid baddies and NPCs. But Metal Gear made stealth its central focus and trained a generation of gamers to be wary of alerting the guards’ attention.